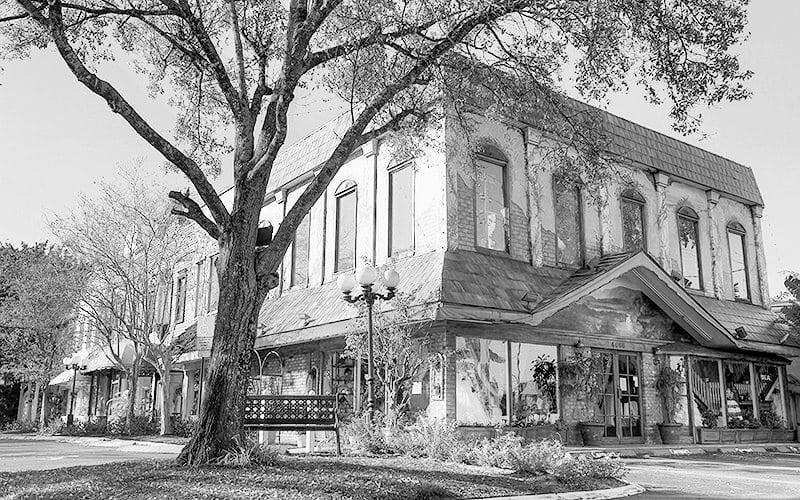 Patricia South’s is a full-service bridal salon carrying a wide range of gowns ranging from fashion-forward couture to more traditional. 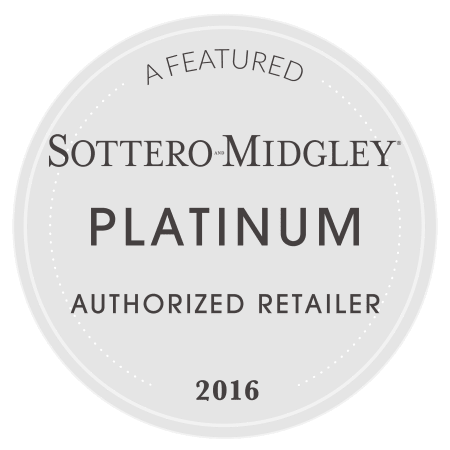 We carry world-renowned designer brands such as couture wedding gowns from Casablanca, Enzoani, Maggie Sottero, Pronovias, Eddy K, Martina Liana, Badgley Mischka and Sottero & Midgley Bridal. We pride ourselves on our large, current inventory and our wide selection of styles, prices ($400-$5000), and sizes. We have a large collection of PLUS SIZE gowns by many of our top designers. Ask about Patricia’s own line of gorgeous gowns. 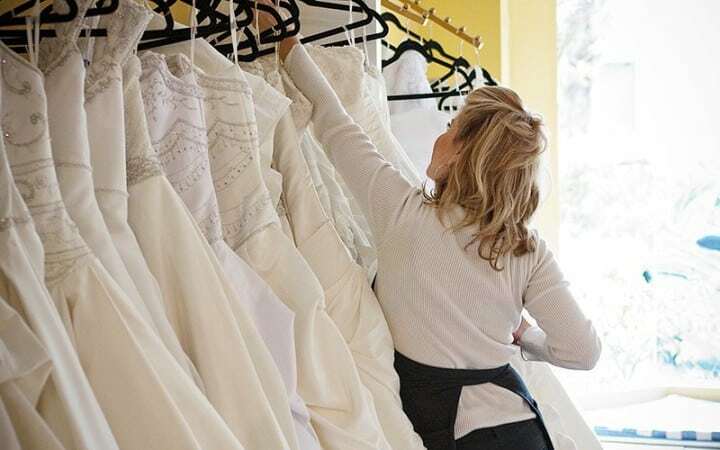 The majority of our brides special order their gowns based on their color choice and size, but we also have a collection that may be purchased off the rack at an incredible price. With our excellent status in the wedding industry, there are very few gowns that we are unable to obtain. Our store has over two hundred bridesmaid dress styles to choose from including dresses by After Six, Alexia Designs, Alfred Sung, Bari Jay, Bill Levkoff, Dessy, Impressions Bridal, Lela Rose, Saison Blanche, SB Boutique and Social Bridesmaid. We also have some of the most fashion-forward designs and color choices available for our mothers at very reasonable prices. Our “littlest angel” flower girl dresses are adorable with a wide array of styles to choose from. For the ring bearers, we carry equally adorable knicker-styled and Eaton suits. We also have a beautiful selection of head wreaths, flower baskets, and ring pillows. We have some of the best seamstresses in South Florida working with us to custom fit your gown to your body. Many of them have been working with us for over twenty years and are experts in their field. We have a large selection of social occasion gowns for guests of the wedding, prom & homecoming, pageants, and debutante balls. Styles range from full length ball gowns to sequin evening gowns to short dresses. Prom season has always been a busy time for our store. Every year we select the most gorgeous prom dresses for that outstanding look. 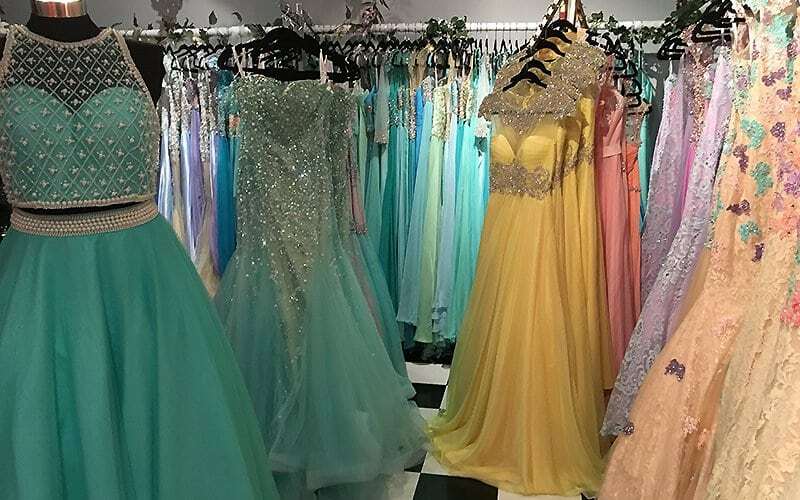 If you are going to prom and you want to turn heads from your prom dress make sure to check out our prom collection from Tony Bowls, Rachel Allan, Tiffany, Terani, Angela and Alison, Alyce, and Mac Duggal. These are just a few designer brands we carry. 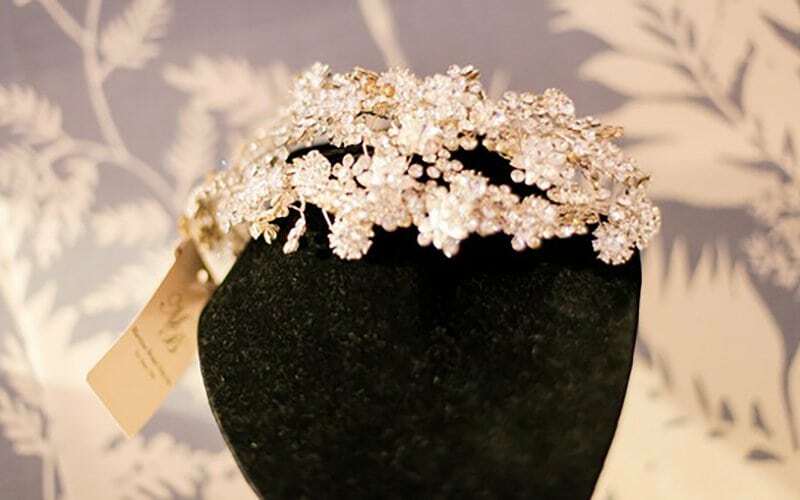 Headpieces, gloves, dyed-to-match shoes, and jewelry are just a few of the accessories available to complete the look. 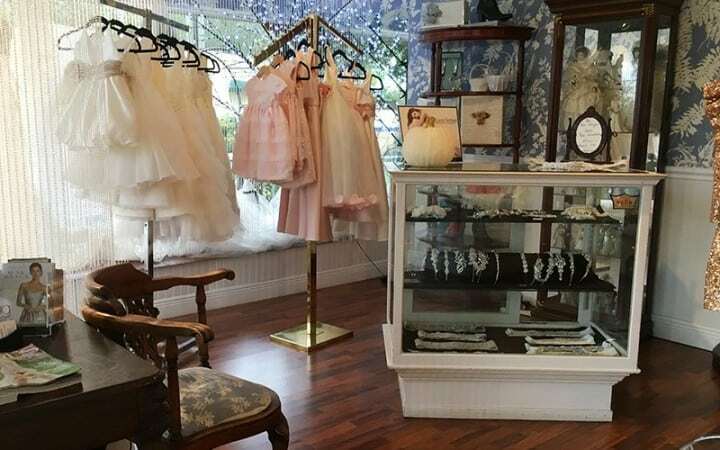 If you are looking for specialty items such as garters, guest books, photo albums, toasting glasses, favors, cake tops, flower girl baskets and ring bearer pillows, we have much to choose from. *We have a large selection of bridal and formal shoes with our own custom shoe dying service on premises allowing for 24 hour turnaround. 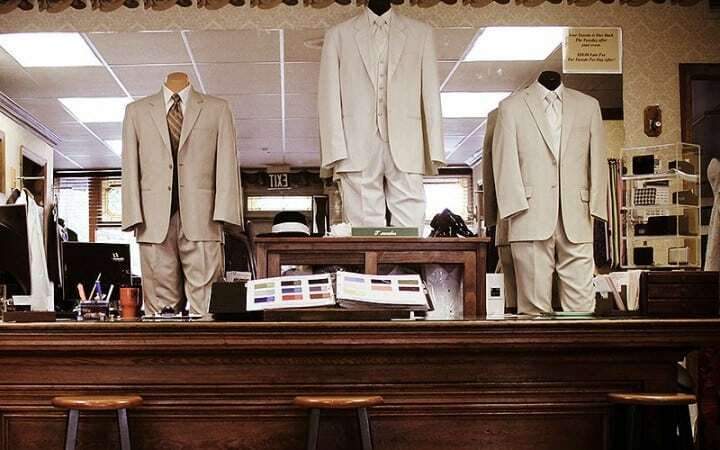 Our tuxedo department has a large selection of tuxedos, suits, and mens accessories. We also do our alterations in-house and offer same day service. View our selection of tuxedos. To order your tux remotely, please download and fill out our tuxedo order form and email it to tux@psbride.com.